As the remake was coming out and it was being made by Spike, I thought a revisit to the original was in order to refresh the memory. Chan-wook Park’s 2nd part of his Vengeance trilogy opens with a startling image and doesn’t let up until the final credits. A man holding a dog is being held precariously by his tie off the top of a very high building. 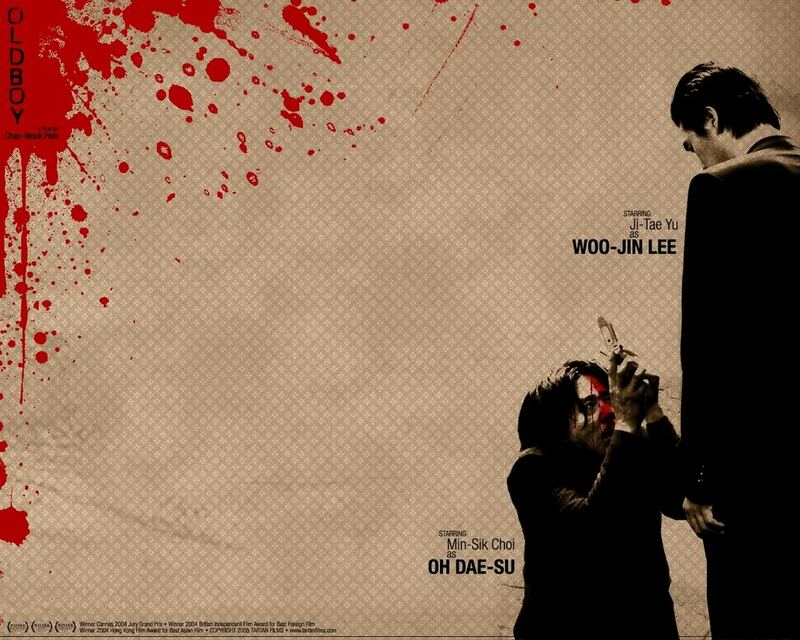 In a sense this could be a metaphor for Oh Dae-Su’s state throughout the film. Never safely on the roof nor splattered onto the ground below. We also feel this as the audience, never quite knowing until the end what the reason for all this is. It reminded me that I have yet to see Lady Vengeance, the director’s final part to the trilogy, in theme only. It also relit the fire I have for South Korean cinema. Over the last 15 years or so South Korea has been churning out such quality fare that supersedes the quality of most western films. The first one I saw also came out in 2003, the sublime Untold Scandal, a reworking of Les Liaisons Dangereuses. Since then I have been more than impressed by the outpouring of artistic, innovative films that this country has been producing. 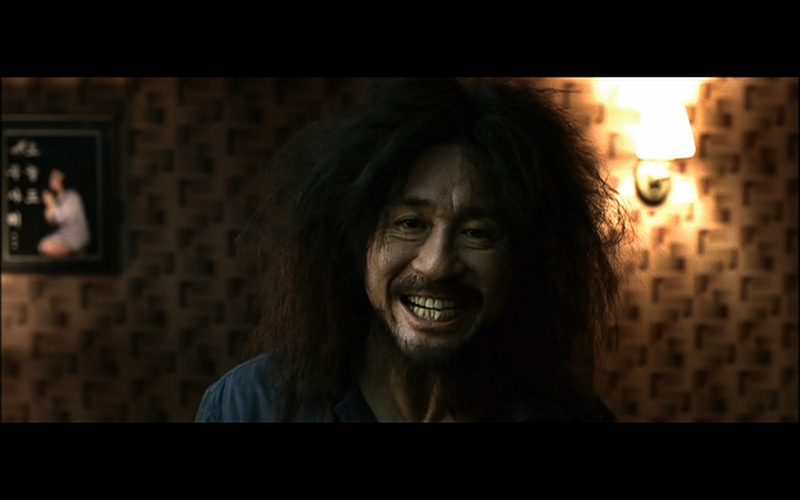 Oldboy really is a classic, a film with its own sense of individuality. Choi Min-sik is brilliant as the main protagonist, Oh Dae-su. He perfectly balances anger, vengeance, confusion beautifully. Yi Ji-tae plays Lee Woo-jin with charisma and menace and Kang Hye-jung as Mido, Dae Su’s guardian angel is heart breaking. Rightfully lauded with awards upon its release this epic piece of cinema was always going to be remade, it just took someone with balls like Spike to do it. (Misguided balls?). If you haven’t seen it, watch it. If you are squeamish, maybe close your eyes for some of it. It is a superb film that really shouldn’t be tainted by any remake. I have yet to see Spike’s version, but I will be very surprised if it adds anything to this incredible tale of vengeance and deception. The music is exceptional. Nearly all of the music cues are named after film titles, mostly noirs (thanks Wiki). And like my friend said, if all the pieces of the film are in place you have yourself a masterpiece. That is most definitely an accurate description of this very well made film. On another note there is a fantastic documentary-The Autobiography of Oldboy which has English subtitles. It is 3 and a half hours long and really takes you into the process of the making of.